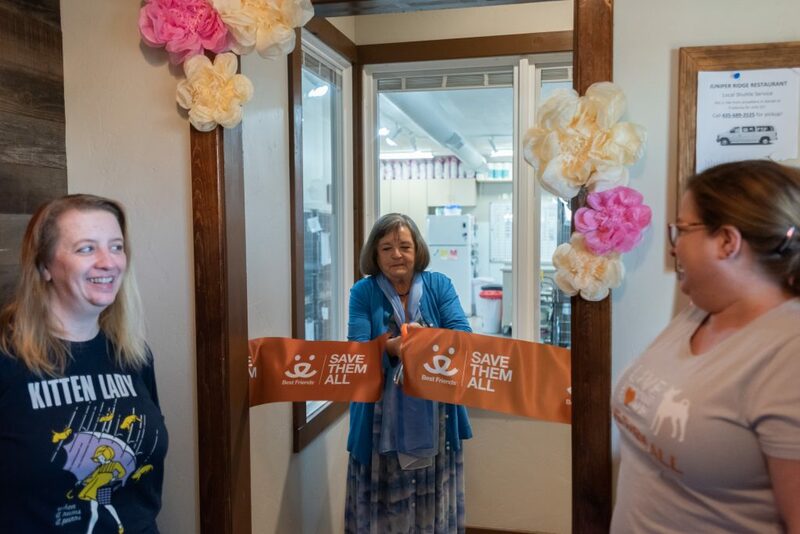 KANAB — Kitten season is in full swing through October, and the lifesaving work of Best Friends Animal Society’s community cat team in Southern Utah just got a boost with the opening of the Best Friends Kitten Nursery in downtown Kanab. The nursery’s grand opening was held Saturday at the Best Friends Visitor Center, 235 South 100 E, across from Glazier’s Market. 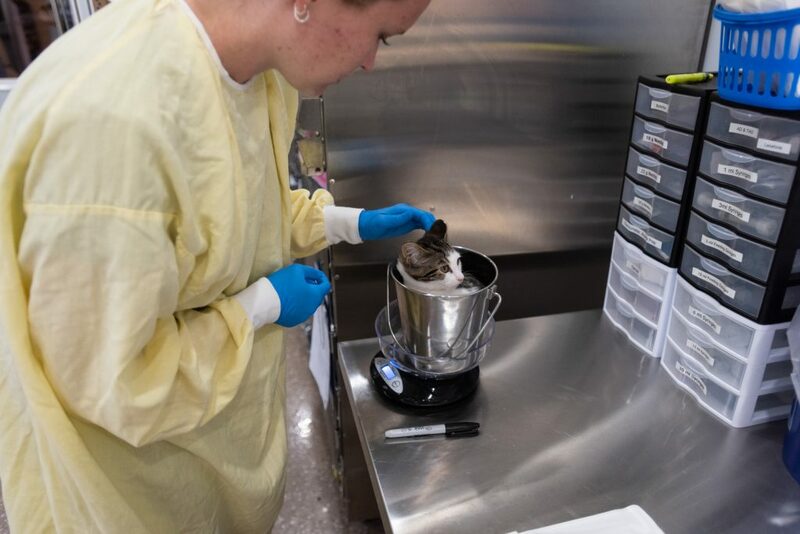 Visitors looked through a viewing window to watch volunteers and staff bottle feed, weigh and care for the baby felines. 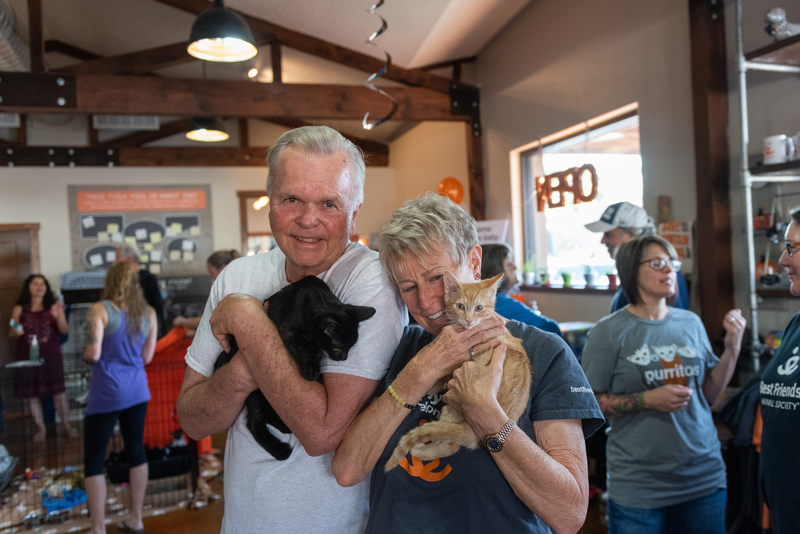 Guests were also able to snuggle and play with the older kittens who are all grown up and available for adoption. 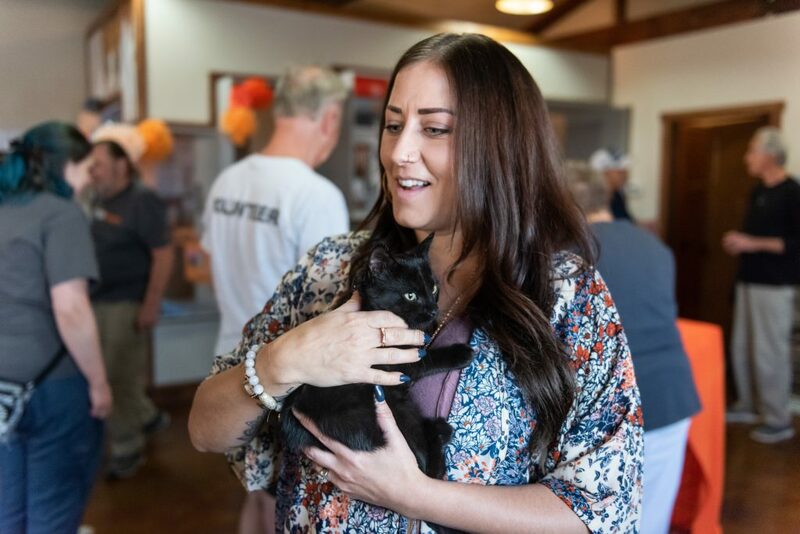 “Every year we have about 150 neonatal kittens who need round-the-clock care to help them grow into healthy, happy kittens,” Janice Dankert, Best Friends Animal Society community cat program supervisor, said in a news release. “Now with our new kitten nursery we have this safe, sanitary environment where we can care for them. And once these kittens graduate from the nursery they can be adopted to people anywhere in the United States and Canada. 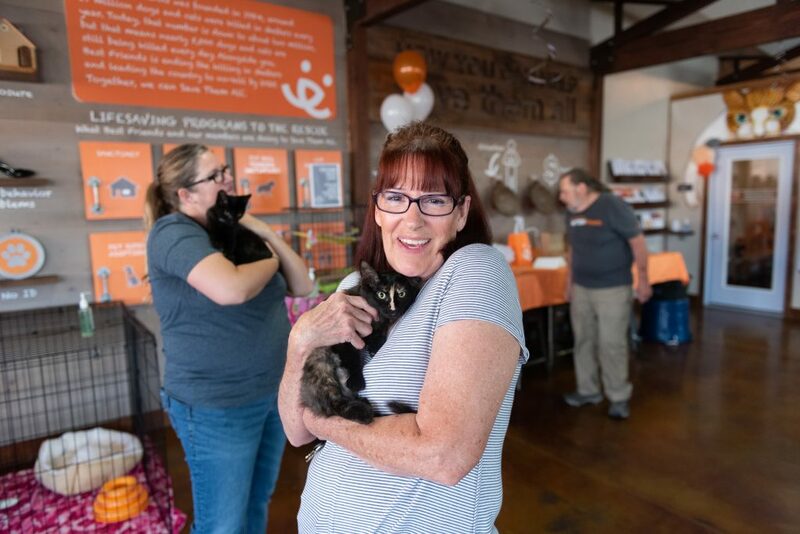 Dankert added that she would love more people in the general Kanab area to sign up to volunteer and foster at the Best Friends Kitten Nursery. 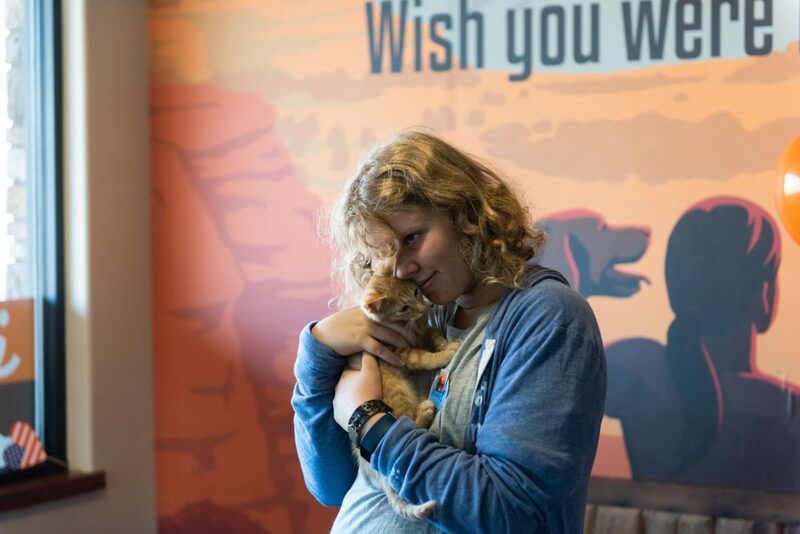 People are welcome to stop by and visit the kittens during the Best Friends Visitor Center’s normal operating hours. Summer hours are 9 a.m. to 7 p.m. Sunday-Wednesday and 8 a.m. to 8 p.m. Thursday-Saturday. For more information about volunteering, email [email protected] or call 435-644-8584. It’s wonderful that you’re covering Best Friends and all the great work they do but can we have more coverage of our local non-profits that work in the St George area? RSQ Dogs. P.A.W.S. Because Animals Matter, etc? They’re all doing sterling work in the Washington County area and I’m sure my fellow readers would appreciate the stories surrounding these wonderful volunteers! One would expect of Best Fiends enough money put into the community to spay/neuter so you don’t have the problem of kittens. Then again, focusing on spay/neuter wouldn’t assure jobs in the future. This is just another feel good bandaid that Best Fiends likes to put on things rather than addressing the core problem.